Google assistant was launched last year alongside Pixel smartphones; however, its availability was limited to only Pixel smartphones and Google Home. Later, Google also released the Assistant for iOS, again with privileged to just U.S. user. Well now, if you were anticipating about Google Assistant on your iOS device in India, it is now accessible. Not just in India, now the other countries like UK, Germany and France too have this most awaited launch. 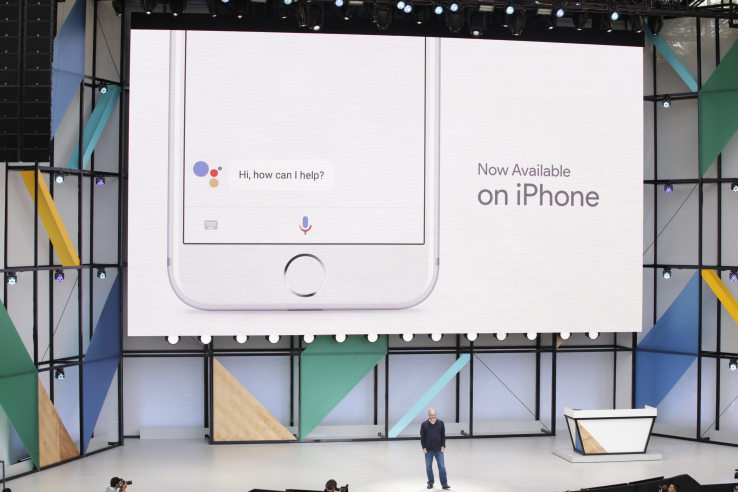 Google Assistant is intended to function on iPhone and iPads running iOS 9.1 and above. It stores millions of pages and shows the most appropriate results. This application also supports different languages including French, German, Japanese and Portuguese. The iTunes app page declares that the application is now available in UK and India, but it is still not established. The Google Assistant app comes with a widget. If we go by the current reports, replacing Apples’ own Siri voice command from holding down the home button is not possible. In addition, you will not be able to activate Google Assistant on your iOS device by long pressing the home button, as you do on Android smartphones. As this place is reserved for Apple’s Siri. However, you can trigger the widget anytime you like for assistance. This makes it goof replacement for voice commands on the iPhone. The Google assistant has the capability to perform from anything to everything. It can make phone calls, answer queries, perform translation, elucidate terms, play games, set alarm, show stock prices, nearby places, and get flight status too for you. It can show your succeeding meeting from the planner say to your news and can evoke some minor details like a number string, which could be your debit cards pin code. Of course, the incorporation on iOS isn’t as good as anticipated in comparison to Android smartphones. This will leave you with limited actionable items that you would otherwise be able to perform on an Android smartphone effortlessly. However, you still leverage its features like making phone calls, sending SMS, emails, setting reminders, playing music, getting directions and a lot much more than you can imagine. To gain the full benefit you need to have an iPhone, iPad or an iPod Touch which is running iOS 9.1 or above.